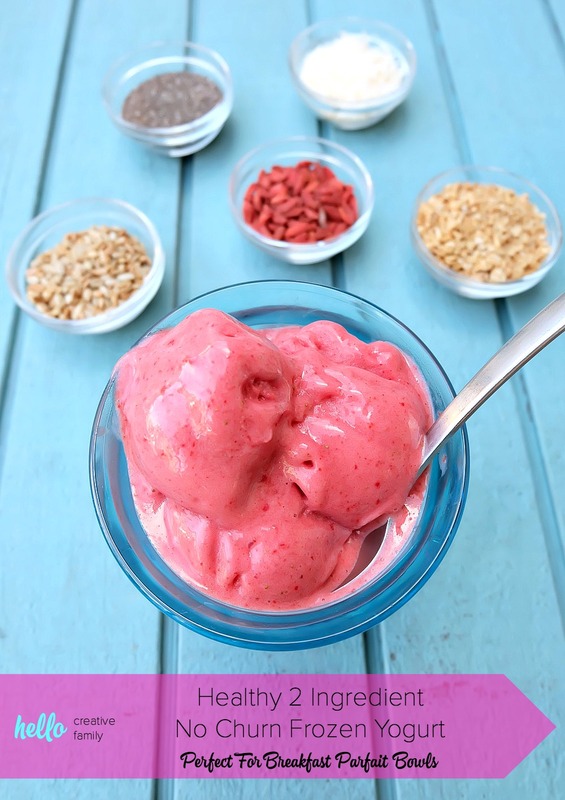 What if I told you that your kids could have homemade “ice cream” for breakfast, that it only has 2 ingredients, takes less than 5 minutes to make AND it’s healthy? 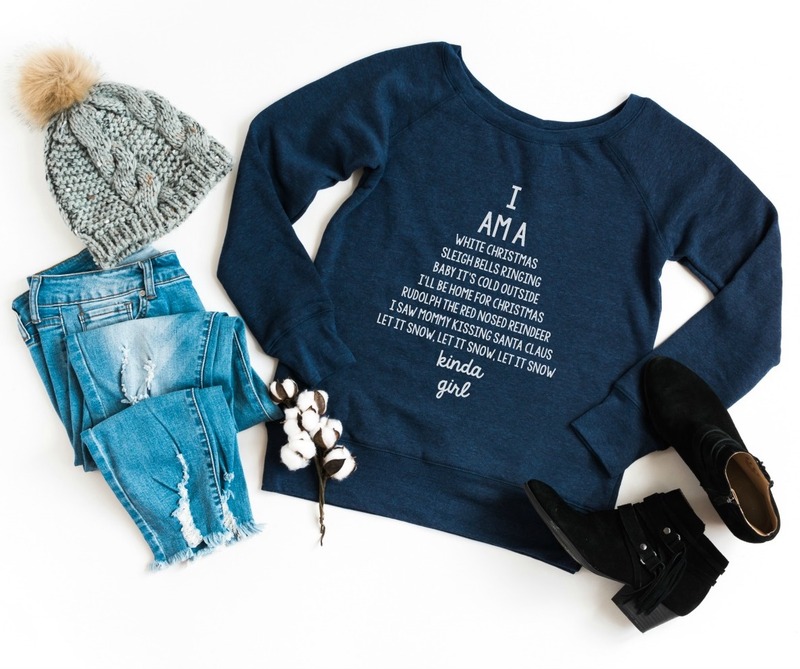 Would you consider that a #MomWin? I know I do! I teach a weekly cooking class for kids at my local community centre. I find it challenging to come up with a new recipe every week that the kids will love, that is also healthy and that I feel good about teaching them how to make. It’s a challenge that I absolutely love, but none the less– It’s a challenge. Each week I ask the kids what they would like to make the following week. I often hear the requests ice cream, cupcakes, cookies and cake. I recently decided to take my cooking class kids up on the challenge to make ice cream in class and decided to invent a healthy, no churn option made with just two ingredients– yogurt and frozen fruit! You guys, the results were DELICIOUS! Fresh, fruity and oh so good! It was an easy recipe idea that I felt great about sharing with my students. I was so happy when they tried it and loved it as much as my family and I did! A few days after the class, I asked my own kids what they would like for breakfast and they said “Can we have some of your homemade ice cream?” I could tell that they were joking, thinking I’d say no to ice cream for breakfast but half hoping I’d say yes. I think they were both surprised when I said “absolutely!” and pulled out the ingredients. I love how fast the recipe is to make. My kids love to sleep and as a result I’m often dragging them out of bed by their toes in the morning and rushing to get them ready for school. Getting a healthy breakfast in their tummy before they head out the door is a must, but most mornings it has to be something quick and easy. We love pairing our frozen yogurt with different toppings like granola, coconut, sunflower seeds and goji berries to make our own customized breakfast parfait bowls. My decision to make a healthy and easy no churn frozen yogurt couldn’t have come at a better time. My good friends at Hans Dairy sent me a cooler full of their delicious yogurts, lassis and rice puddings and challenged me to come up with a healthy breakfast or snack idea that is perfect for back to school! This recipe checks off all those boxes! 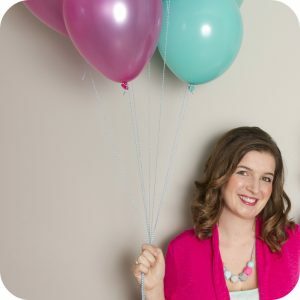 I love thatHans Dairy is owned by two Canadian sisters (yay female entrepreneurs!!!) 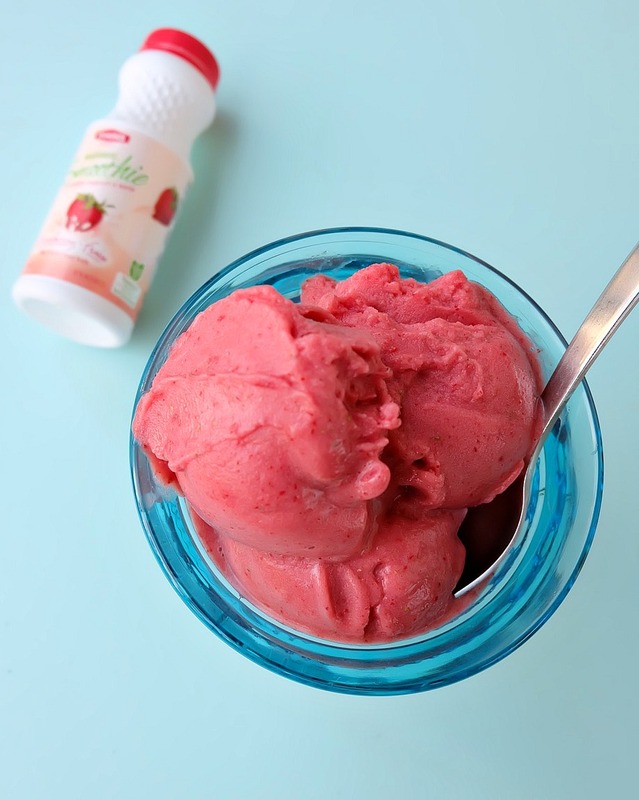 They are passionate about bringing natural ingredients to the market and ensure that their products are free of any artificial flavourings, colourings and preservatives. 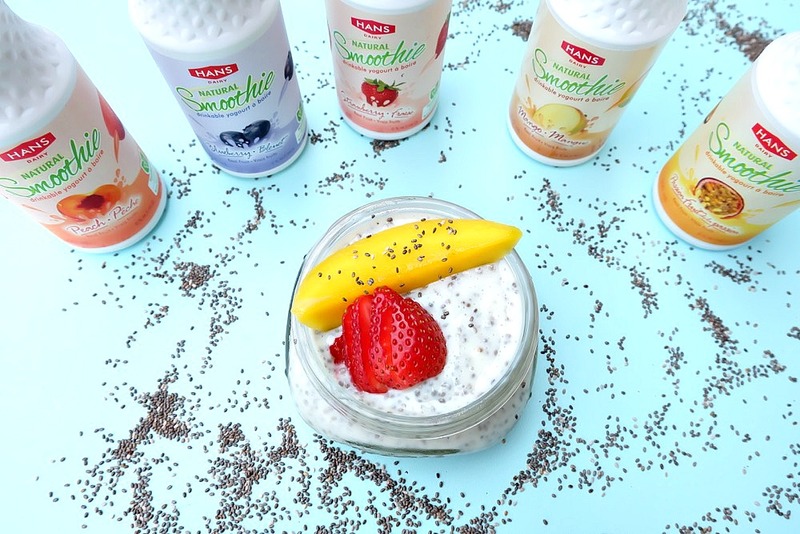 Hans Dairy makes products such as smoothies, lassies, rice pudding, whipped butter and yogurt in their traditional, time honoured, and family-run company. I used Hans Dairy Strawberry Yogurt Smoothie in this recipe, but you could just as easily use one of their unsweetened yogurts and add a bit of honey for sweetness. 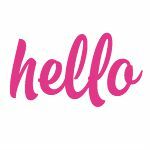 I feel good about feeding my kids products from Hans Dairy and I love that they help me feed my family quick and healthy meals and snacks. 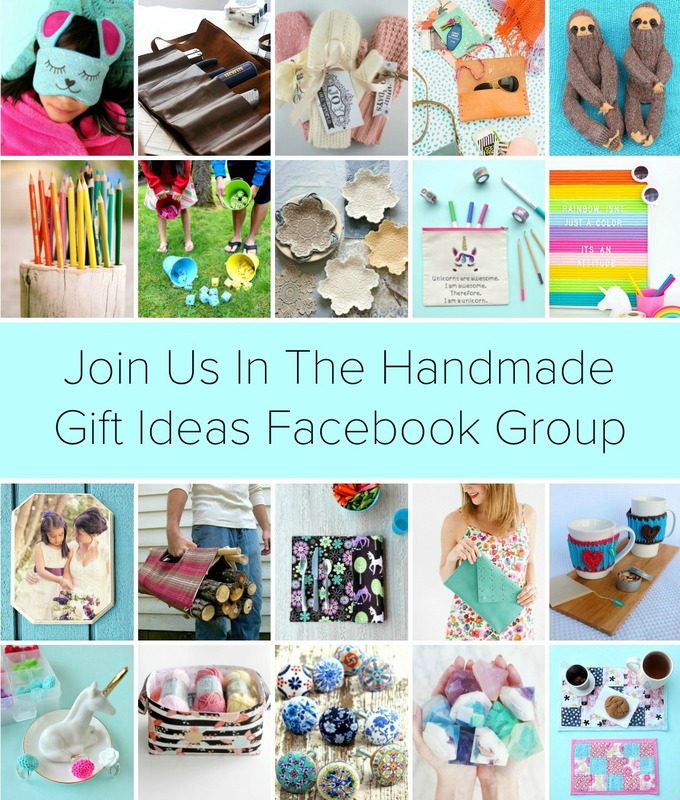 You can find their full line of products along with where to buy them here. 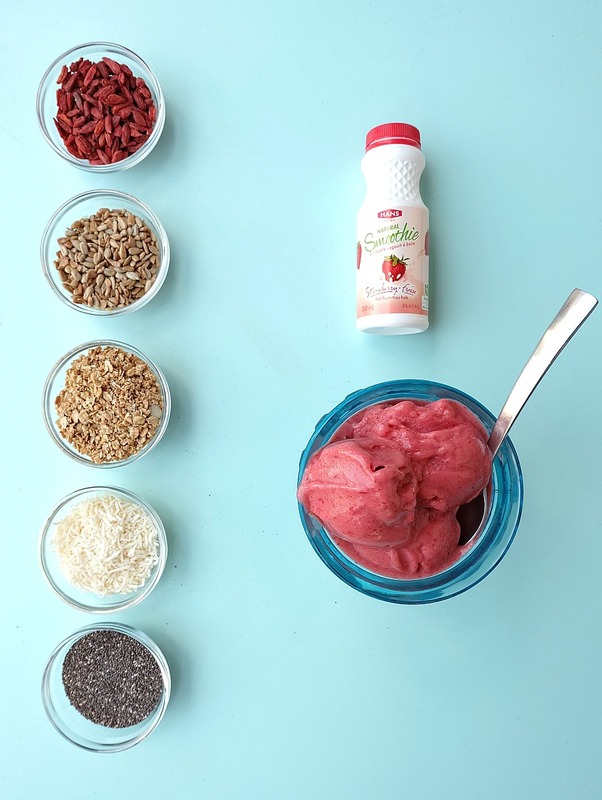 There are so many flavor combinations that you could come up with for your frozen yogurt! Hans Dairy smoothies come in Mango, Strawberry, Passionfruit, Blueberry and Peach flavors and you can pair them with any kind of frozen fruit. Just think of all the flavor combinations you could come up with! Looking for more breakfast ideas? 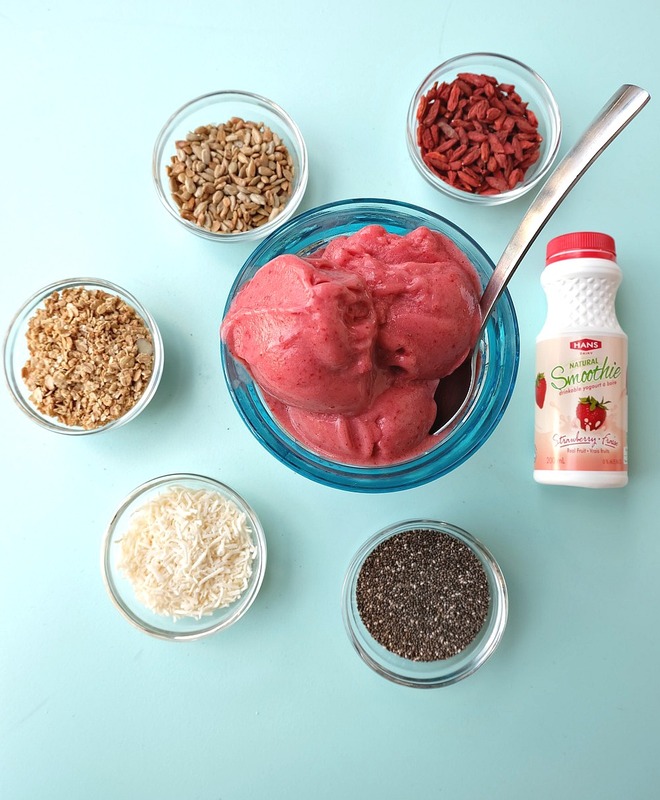 Check out my 30 second prep chia pudding using Hans Dairy smoothies here. 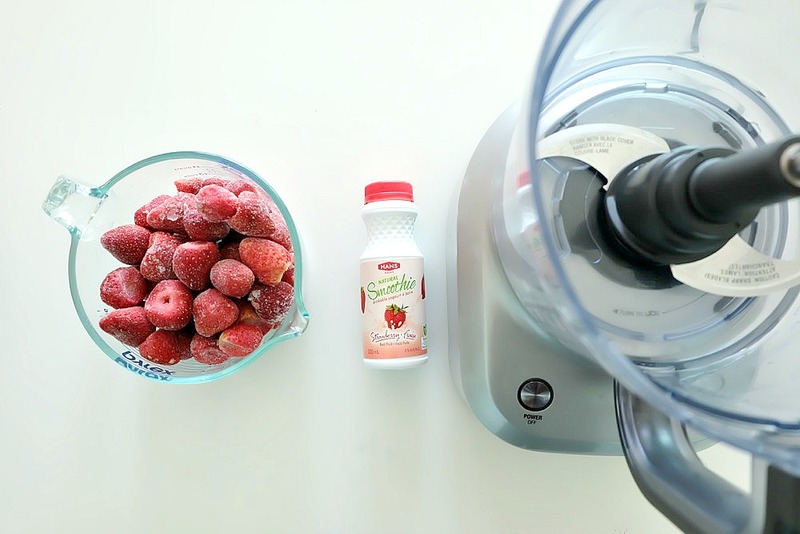 Ready to learn how to make my 2 Ingredient Healthy No Churn Frozen Yogurt Recipe? Read on! 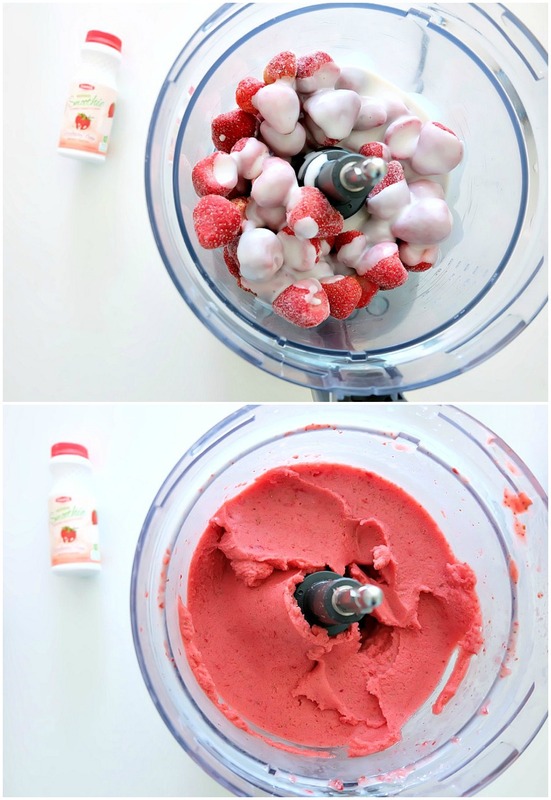 Put frozen fruit and yogurt into the bowl of a food processor. Process until creamy, scraping down sides of food processor as necessary. Total food processing time should take approximately 3-5 minutes. Serves 4 to 6. This recipe is best served fresh. If making for a smaller crowd I’d suggest halving the recipe. Serve immediately on its own or with your favorite parfait toppings! 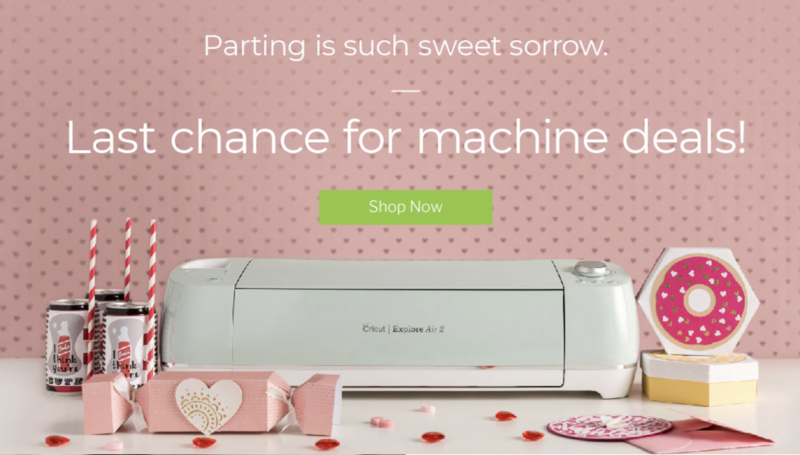 Disclosure: Thank you to HANS Dairy and YMC for working with me on this post. 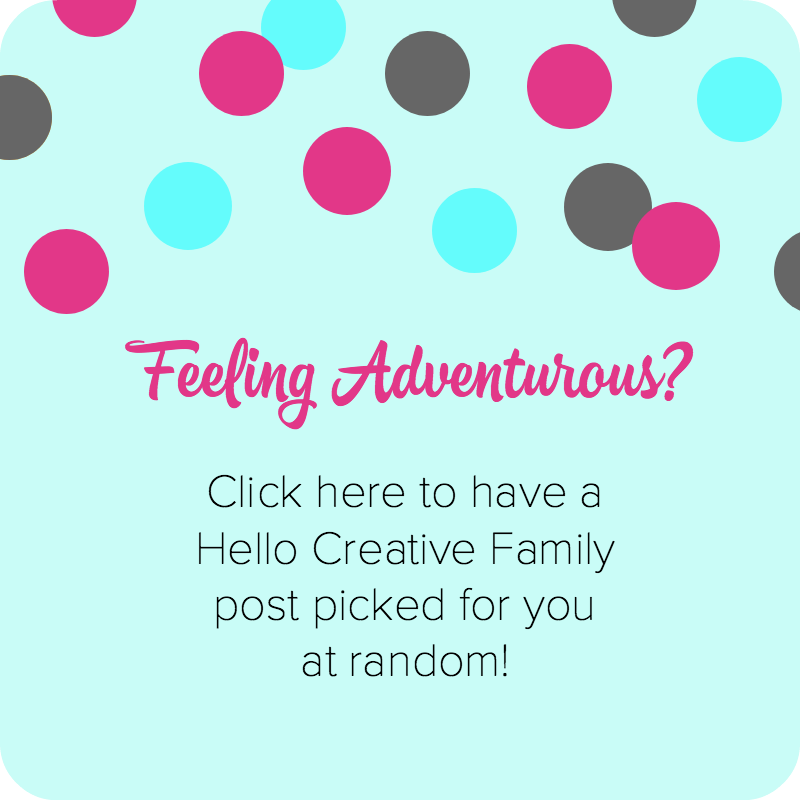 As with every article on Hello Creative Family all thoughts and opinions are 100% our own. Tell me… What flavor or flavor combinations of frozen yogurt are you going to try making first? Oh it’s definitely going to be frozen saskatoon berries! I think a splash of orange juice would sweeten it up and make it even more drinkable/fast as an on the way out of the door breaky. Pumped to try it! Raspberry is my favourite flavour for frozen yogurt. I think that raspberry would be great! Peach with frozen blueberries….or blueberry with frozen peaches….either way, peach and blueberry! Yum! They look so yummy! I’ll try to make them at home. Thanks for sharing this.